Not a lot of people are aware of it, but New York City is a bike racing town. 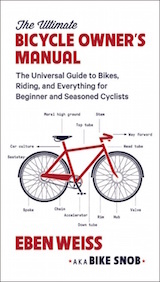 During the spring and summer months you can race your bicycle on the road or the track week after week, often multiple times a week, without even getting in a car. Whether you're a lofty Cat 1 or a lowly Cat 5, you can channel your unfulfilled desires into some kind of USA Cycling-sanctioned competition. But what if you don't hold a racing license or belong to a racing club, yet you still burn with the desire to compete? More importantly, what if you don't even have the wherewithal to rally yourself by midday and sign up for an alleycat--a discipline which, in the realm of organized sport, lies somewhere between ironic dodgeball and fraternity flag football? Well, that's when you join the fastest-growing of segment of competitive cycling today: commuter (or "Cat 6") racing. Second hipster cuts me off like he is hot stuff and pedals like he's trying real hard to go fast. Eat your wheaties hipster! And buy some pants that fit. My cycling clips aren't intended to be impressive. I'm trying to capture everyday cycling moments which include mini-races with other cyclists, altercations with drivers, pedestrians who have lapses in judgment, the occasional cyclists who doesn't intend to live past 30 and of course something for my wife to see when I get home from work. If you can't comprehend context or are angry that I have not brought more entertainment into your already very boring life please refrain from posting a stupid comment. I'm just going to delete it or show how logically inconsistent you are. I'm really sorry they couldn't extend highschool for you; but please don't waste my time. Wow. After I read that I began to understand, and on second viewing I noticed how, after he passed his competition, his head began bobbing wildly as he powered his bicycle up to speeds that had to be in excess of 16mph. By the way, here's another look at the "main field:"
While I appreciate this video, I'd much rather see footage of the filmmaker showing it to his wife after he gets home, as he says he does in the description. I wonder if she actually humors him, or if she just locks herself in the bedroom and cries. 2) They're just ordinary Cat 3s and Cat 4s. Cat 3s and Cat 4s will do absolutely anything if they think it will improve their performance, no matter how sordid or violating it is. "It'll make you faster" is the "Want some candy little girl?" of the amateur racing set. I would have thought it was some sort of air foil, or else a rack for "portaging" Cat 6 racers to the lab for rectal probing after you've chloroformed them. 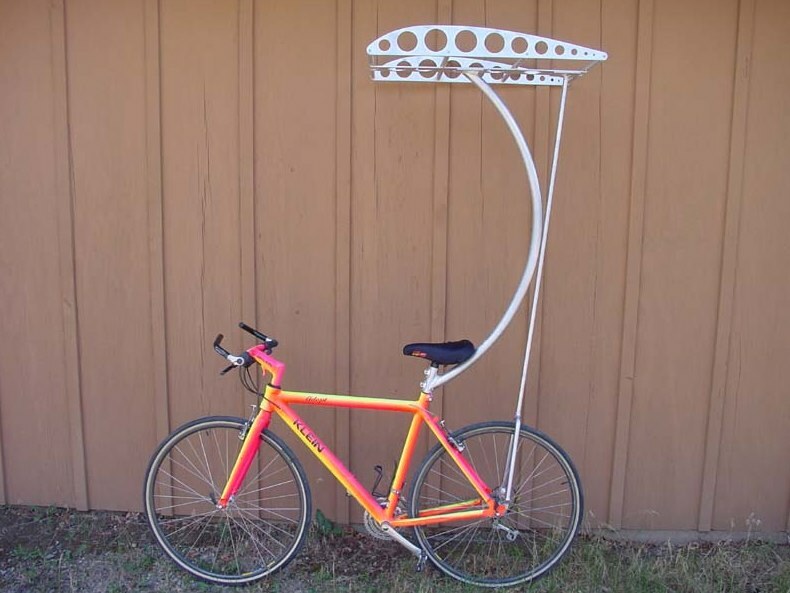 I suppose this is "a piece of cycling history" as the seller claims, but it's also "for parts and not working," and the only explanation I can come up with for the high selling price is that someone was determined to squander his personal savings before the Rapture. Then again, I suppose that in the retro-Fred community the bragging rights that come with owning the world's oldest quick release are nearly priceless. Cat 6 video guy must be on his tail and trying to probe him. By the way, I think that Klein modification is a camera mount for a new Google Earth feature: peloton view. Coulda been podium, I swear, but I got funky blogger erros. Two top 10 in as many days! Good early season form for me! Now, please excuse me while I try to coax my wife out of the bathroom. That Hipsters Get Owned video is by the same gent who made a video of supposedly deadly driving by Hasidics going 3 mph in schoolbuses in Brooklyn that was all over NYC blogs last week. I suggest never looking at his youtube channel again at this rate soon he'll be uploading helmetcam videos of himself sniffing his own farts. An Action Wipes entry should not be considered unless it features some semblance of a soul patch. Seriously. Why post a video your bike exploits, and then denigrate your viewers comments. Isn't he special, in an arrogant douche bag kind of way. I just cant wait to see his next postings. Its all in the name. I'm going to state the obvious and point out that the "film maker" dismisses critics as being stuck in high school, while he is determined to pass an fellow commuter that has they audacity to cruise past him. Going against the tide here a minute, but I'm getting really tired of the term "hipster." What does that mean? Someone that has better taste in music than you? Anyone that wears skinny pants? Anyway, I'll take skinny jeans over cargo pants any day of the week. I certainly hope that the 'hipster owner' was wearing one of these kits. That way when minding my own business on the way home from work I'll know when it's "on". BTW, they should've extended 'highschool' for him too, since I'm pretty sure it's supposed to be two seperate words. It's got to be the testoaterone: some guy in a department store bike passed me; I'm riding casually on Reynolds 531, and I'm offended, like my pride was insulted. I had to fight the urge to race him. I much prefer riding as fast as I can when the road is clear of all vehicles, which is a rarity but worth the wait. Casual wear worn when replaying the videos for wifey. 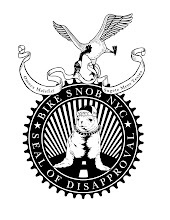 Regarding the Twin Six "Cat 6" jersey: I sincerely hope they consulted with Snob before ripping-off his material. I would watch the helmet cam guy only if he placed a rectal thermometer on the helmet and turned the camera on his wife. Grey, what's with the shotgun? Got varmints? I definitely did not come up with "Cat 6," that term has been around awhile. I did invent the number six though. Chazu - Try again, Cat 6 is a racing team in MPLS that has been around since before this blog. Twin Six, also located in MPLS made the jerseys/shirts with the Cat 6 racing squad. Hey, did anyone else here about that Earthquake over in Japan? Check the description of the blog. Vince la cronoscalata Alberrrto Contador-ah!!!! "It’s one of the basic principles of human physiology, that when extreme heat sends your core temperature off the charts, your body slows down. Maybe it’s regular ol’ fatigue, or it could be the lactic acid building up in your muscle tissue, but at least it’s something tangible." How many ways does this caption make no sense? First, there are the two unneeded commas in the first sentence. Second, although core body temperature was (presumably) measured, this measurement was never discussed in the article. Third, how does the second sentence relate to the first? 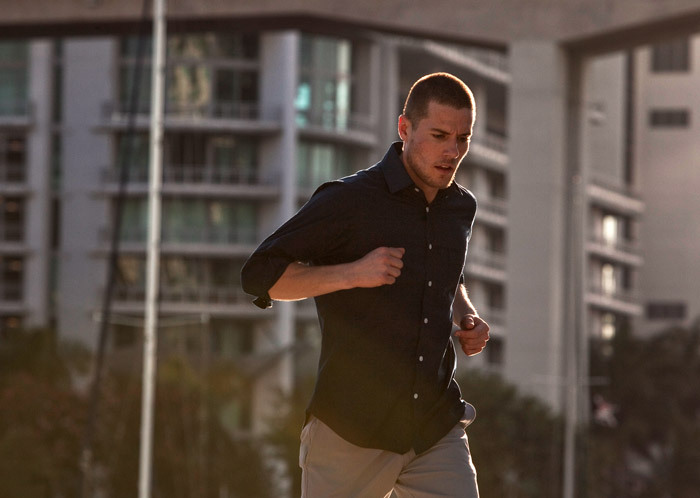 Why does your body slow down (whatever that means?) Perhaps because of elevated core body temperature, which the research appears to have been investigating, although that point was avoided in the article. And what do "regular 'ol fatigue" or lactic acid buildup have to do with anything related to the research or the article. Hey Wired! If you are going to publish articles about scientific research, get someone who understands the science and someone who can construct a coherent English paragraph to do the writing. If you look hard enough, you CAN find both of those traits in a single person. The experiment is a mess. The effects of heat trauma won't show up in 30 minutes. 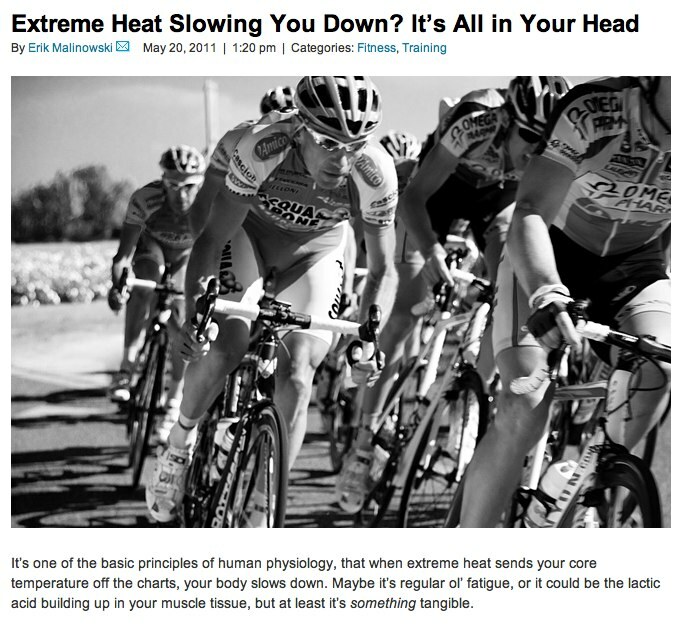 The changes to core body temperature would be tiny if they kept them on the ergometer long enough for the heat to have an effect. I heard wearing a mankini makes you faster. 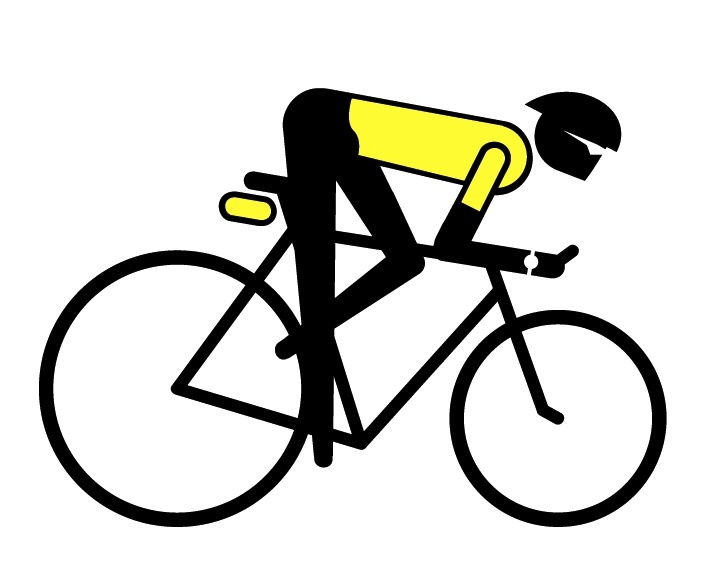 I like that the first TTTWRFFTPT symbol clearly depicts the sunglasses going under the helmet straps as per Fred doctrine. The second image is interesting in that it seems to include subversive symbology hidden in plain sight. You'll notice that TTTWRFFTPT's watch is on his right wrist, possibly a depiction of left-handedness, or more intriguingly the artist may have included this anomaly as a means of quietly, but publicly questioning the validity of the TTTWRFFTPT time travel myth. This is daring art, back in the era when the work was completed, around two weeks ago, It would have been considered highly blasphemous to harbour and promote such scepticism toward TTTWRFFTPT. Upon further study, other layers of symbology and complex geometry become apparent. The meaning is hard to determine exactly, but it seems to suggest that a TTTWRFFTPT bloodline may exist. I won't say too much, but there are some intriguing horizontal, or dare I say "recumbent" geometric cues enmeshed in the image. A Times Square hustler/heroin addict named Herbert Huncke was the original hipster back in the 40's. He was a Beat Generation guru to Kerouac, Ginsberg, Burroughs et al. I'm pretty sure even McDonalds has a "helmet straps go inside the glasses" policy. I think you're bang on with reason #2. I recently saw an ad on a triathlon list: University of Ottawa student seeks participants for experiment. Sit in a bath of ice water with a thermometer up your heiny until you turn blue. Participants get a free VO2 max test. I'm really sorry they couldn't extend highschool for you; but please don't waste my time. Snob, that does not appear to be a surfboard rack. It's too high to put a board on top, and there is no 'bottom board mount' if the top was designed to mount one end of the board. BTW, I did some fine Cat 6 racing on Ride Your Bike to Work Friday. A lot of fresh meat out there...rookies...I smoked them on the Worlds 2nd Greatest Madone (Only one mirror). My dog claims he once owned a hipster. Had to get rid of him though. Too much trouble to walk. When I get home I don't show my wife clips of my helmet cam, I show her my love helmet and film that. Man, I hate being probed. Why are all of the There Will Be Action Wipes logos feetless? Or are they amputees? 88.5 degrees Fahrenheit is NOT extreme heat. Sorry! Here it's 91.5 degrees right now. If you call it extremely hot on May 24th in the southeast US what are you going to do at the end of July when it gets to 105-110 degrees. Those temperatures I only consider very hot. The temperature in death valley in the summer is what I call extreme. first rule of the commute race, when you throw down to own, dont look back! I thought the first rule of commute race was don't talk about commute race. Or was it don't film commute race? 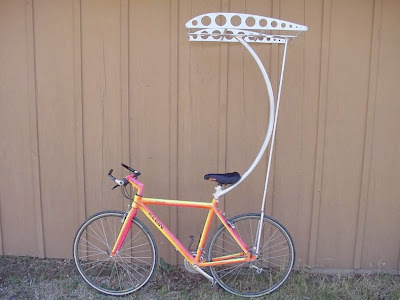 Nogocyclist -- it's not the heat, it's the humidity. And the mosquitos. I'll be back down in Savannah soon. Can't wait. I wonder who gets paid more, the idiots who did the "study" or the idiot who wrote the wired "article". Both smarter than me, it seems. How bout a 5 hour ride with a gaggle of hair dryers in your face and a couple carbon-soled hot plates fryin your feet. Ah, Vegas in the summertime, baby. If you can't take the heat, head to the UK, where apparently 88-don't forget the .8-is "extreme." 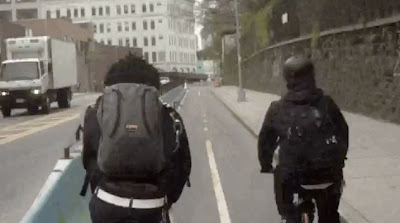 The cat 6 racing has gotten beyond douchey retarded in NYC. Not to stereotype one group of participants, but the fixters are the worst. When they're not peddling frantically like circus bears coming down the bridges, they're out of the saddle hammering on the inclines, attacking.....no one. Well, except other idiot trendy clowns like themselves. I do enjoy watching the incline-attacking fixter's cadence steadily wind down like an expiring grandfather clock. They're like boomerangs: they always come back. I'm glad I never drove a Ford Probe back in the day. 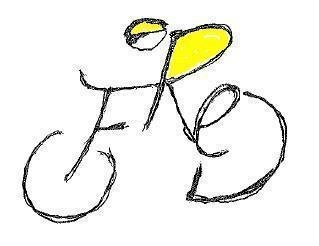 The Tour de France Fred is awesome, you have to strike up a deal with the copyright holder and sell some Bike Snob NYC, tee-shirts(of course),with that logo. It will sell better then that crappy book you have been flogging all around the continent. the post as it appears on your home page contains a liz hatch vid... not one of hipsters getting pwnt. @leyroy, when the humidity is so high that when you look off in the distance, you see the road squiggling, it is hot. I know if the humidity is around 100% right before a rain when it is in the high 90's, it will make you about as hot as you can be. When your sweat just soaks your clothes and will not dry off even when you are moving and wearing microfiber clothing, it is simply miserable no matter how ready you are for it. I am like happy camper and the nice bike u posted makes me smile for a while. I cannot smim so the surfing might be out. but i do haul wood and think it looks sweet! Florida is the new New York. Girls are slinky slanky and easy. Sorry uptight doods. Maybe someday on a vacation you can get it on. 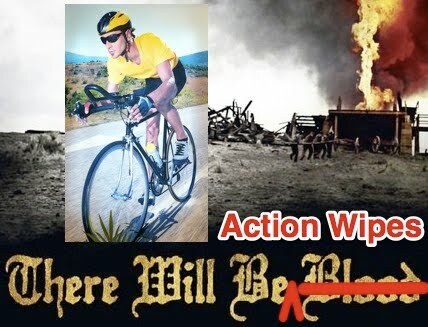 An Action Wipes entry should not be considered unless it features some semblance of a soul patch. Nogocyclist -- it's no so bad if you plan you're rides so that 25 miles in you can get a coke icee. What's wrong with ukeleles and The Dead? Snob, I'm beginning to think you're like, unhip or something, dude. Podium! Not. Fuckers, I don't have access to a puter or i-phonical device at work. 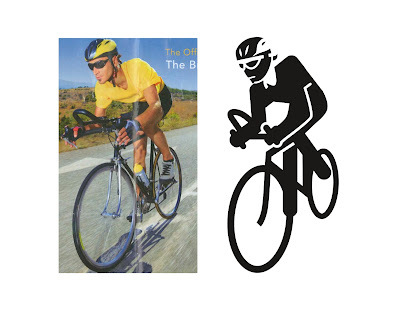 Have you seen this TED talk on bicycle helmet use? Love the way the last symbol says Fred. Genius. Marvelous length to be born. Amber’s wedding dresses 2012 collection configures the theory of woman’s golden proportion by revealing an unexpected power of wavy skirts. Our magical tea length wedding dresses with illusive overlay would bring you back to the spring-like girlhood. Willing to go with us? Lol, action wipes. AKA baby wipes. hay, Are you like to hire or buy carbon bike wheels. 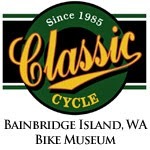 I give you a good site information, you can hire or buy racing cycle and and others instrument from there. Please click here for this: TLR Carbon wheels. If you want to know more information about TLR, Please read this magazine. :TLR Carbon wheels. Thanks Everybody. Very nice and helpful information has been given in this article. I like the way you explain the things. Keep posting. Thanks..